Kamat is a famous chain of Indian vegetarian restaurant in Dubai that has a branch at Damascus Street, which serves dishes with tangy, subtle, spicy, creamy and hot flavours. Foodies can relish these flavours in the variety of Indian and a few Chinese dishes served at this restaurant that has contemporary interiors, graceful seating and extremely commendable service. These assorted vegetarian Indian dishes are prepared with the freshly ground spices, which fills the air with their nostalgic aroma and takes the guests to the mystical journey of sub-continent itself. This makes Kamat Restaurant one of the best establishments to savour variety of ethnic, delicious and delightful Indian dishes in the city of Dubai. This eating place brings to the table fine range of southern and northern Indian delicacies along with variety of vegetarian dishes. In addition to this, guests will also get some pickings from Chinese fare and a range of chaats, fresh juices and ice cream on the menu. The true essence of India can be felt at this establishment, as it is not just another vegetarian restaurant, as diverse range of vegetable dishes such as paneer jalfrezi, nawabi tarkari pulav, sarson ka saag, kaju matter masala and 300 other delicacies makes this bistro a special place to be. Other services, which Kamat provides include catering, take away and free home delivery. 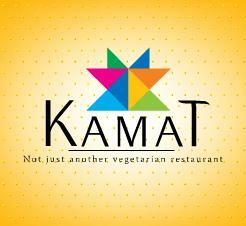 Take a look at the menu of Kamat Restaurant, click here! Between Saturday and Thursday you can stop by this place for brunch and lunch, which is served from 10:30 am till 3:15 pm and for dinner foodies can come any time between 7:00 pm and 11:45 pm. On Fridays their timings vary a little, as brunch is served from 10:30 am to 11:30 am, lunch starts at 1:15 pm and ends around 3:15 pm, while dinner is dished up between 7:00 pm and 11:45 pm. Damascus Road Dubai - United Arab Emirates. 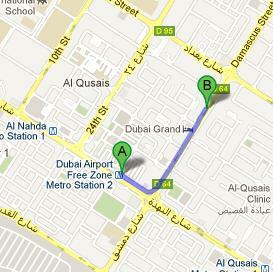 After exiting from this metro station, head in the southeast direction that goes towards Damascus Street/D 64. Continue straight onto Damascus Street/D 64, then make a slight left turn and you will see the destination on the left side. Kamat Restaurant is hardly 65 metres away from Damascus Road 1 1 – Dubai bus stop, where bus numbers 13B, 17, C19, C26, F08 and X28 have stops. Bus users can cover this 65 metre distance on foot in less than a minute, if they head southwest towards Damascus Street/D 64, where destination is located. Checkout the map for directions.